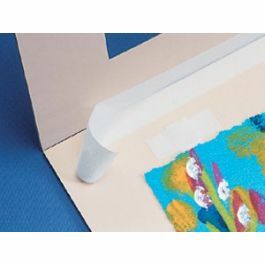 Permanently mount photos and documents with our PMS1 Acid Free Photo Mounting Squares by Lineco. These 1/2" double-sided, non-yellowing adhesive squares work great for scrapbooks, photo albums, and backing boards. 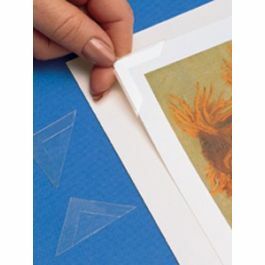 Simply peel away squares from the release liner and apply to the back of photos, news clippings, and documents. Safe for photos and easy to use! When the time is right to put together that scrapbook or photo album, you'll know. Our PMS1 Acid Free Photo Mounting Squares by Lineco provide an easy solution for permanent mounting of photos and documents. 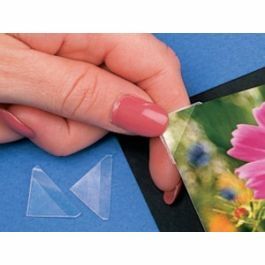 These 1/2" squares have adhesive on both sides and are quick sticking. Simply peel away the square to release it from the liner. 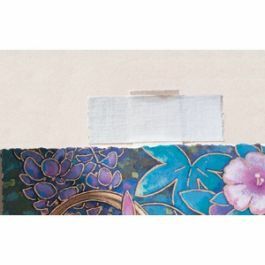 Apply the square adhesive to the back of photos, documents, memorabilia, and news clippings, and press into place. Ideal for use with scrapbooks, albums, and backing boards. These non-yellowing, acid-free tabs won't harm your photos. Because these tabs are difficult to remove, they are not recommended for valuable artwork. The primary use of PMS1 is to permanently mounts pages to albums or scrapbooks. These tabs are difficult to remove and are not recommended for valuable artwork.